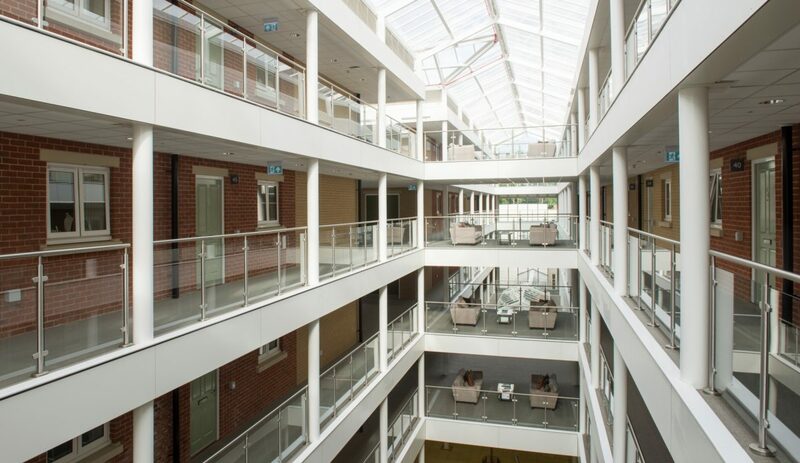 The Lynwood community village – providing “life-enhancing care”. 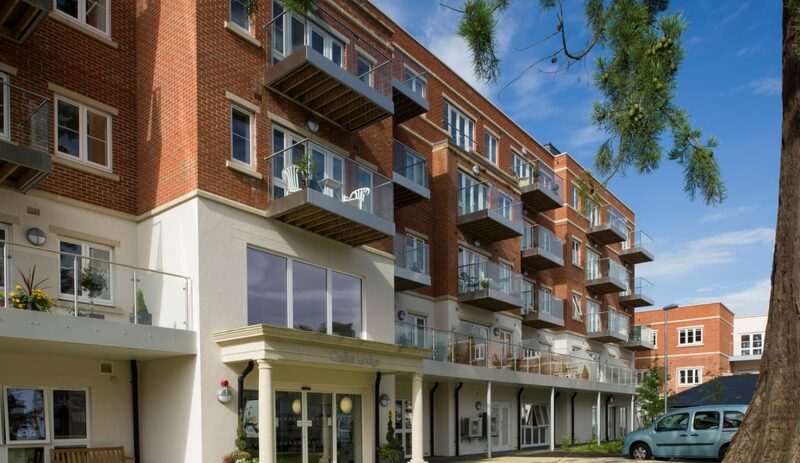 The Lynwood retirement village, which is owned and operated by automotive industry charity BEN, is situated within 20 acres of woodland on the outskirts of Ascot. 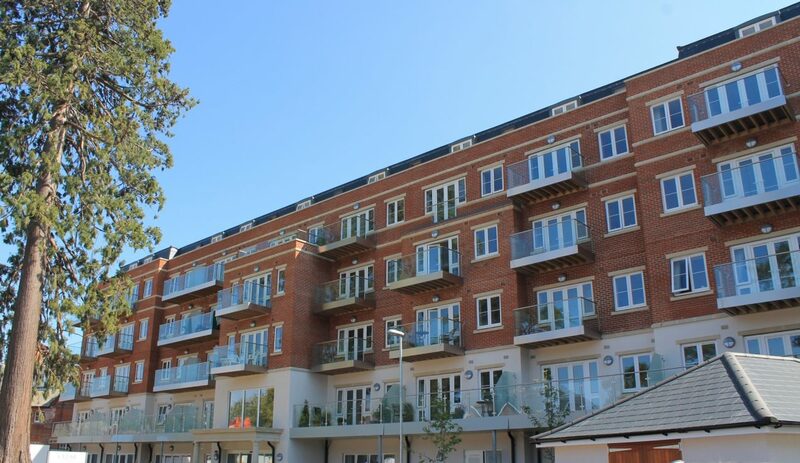 The Lynwood Care Home village aims to create a community environment for the residents with restaurants, a hair salon, indoor bowls lawn and even a swimming pool and spa. The project presented a number of initial design challenges. 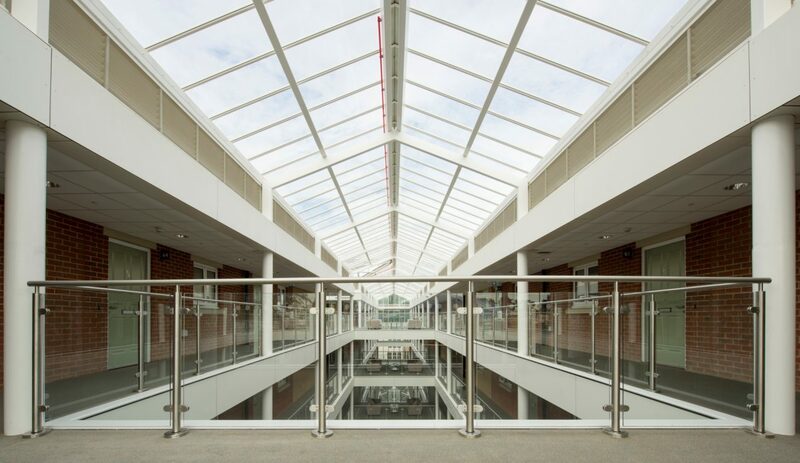 With 1.5kN/m loading requirements to the internal voids and a very thin composite slab to fix to, the BA design team had to formulate a complicated fixing detail without compromising the aesthetics of the finished product. 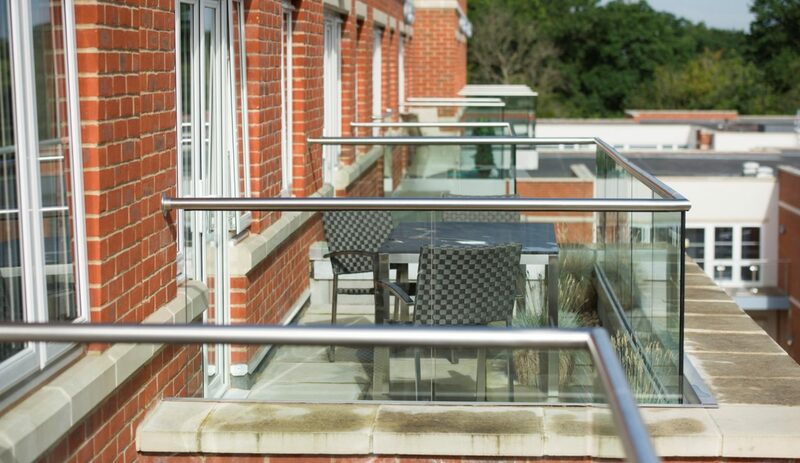 BA Systems were appointed by Willmott Dixon to provide our B10, B20 and B40 balustrade systems to the external balconies, internal voids and stairs. 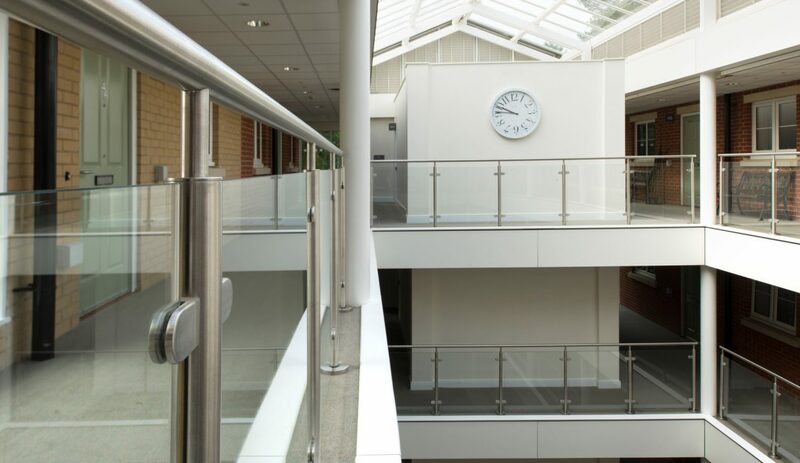 With our balustrade interfacing with a number of surrounding trades, this meant that challenging programme deadlines were needed. 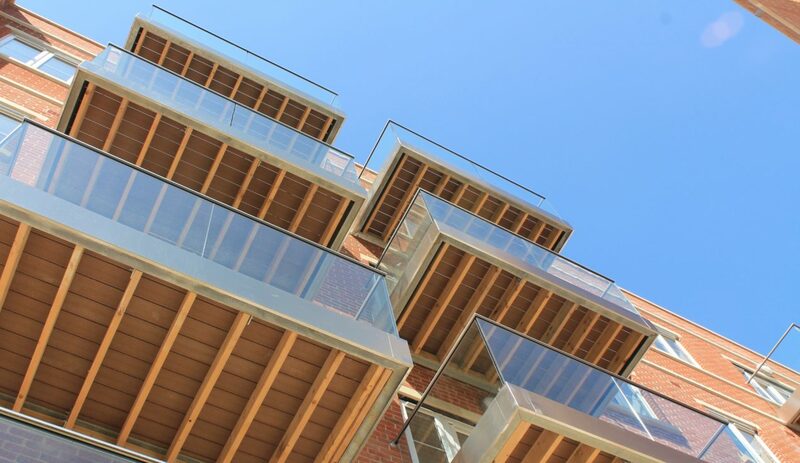 Our contracts team were able to keep our final on-site installation dates flexible to ensure that we were available to install the product when the site was ready. 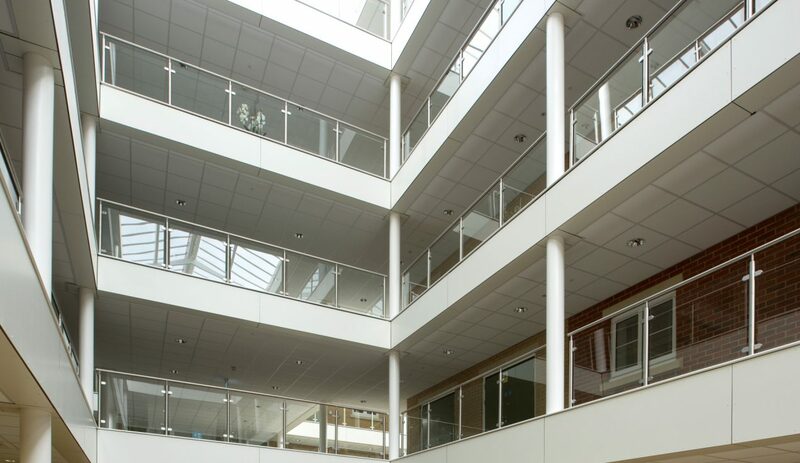 Our project managers proactively coordinated with other trades on the balcony and void areas to ensure there was no delay in the install flow. 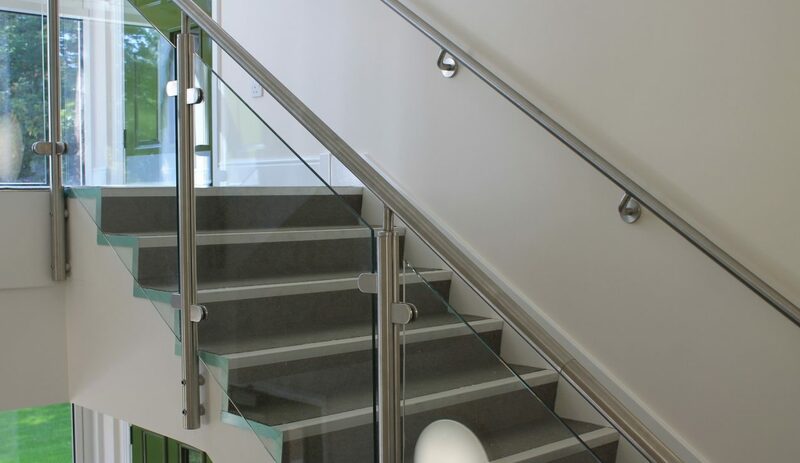 The B20 stainless steel balustrade gave the internal voids an impressive and contemporary feel to add to the community environment. 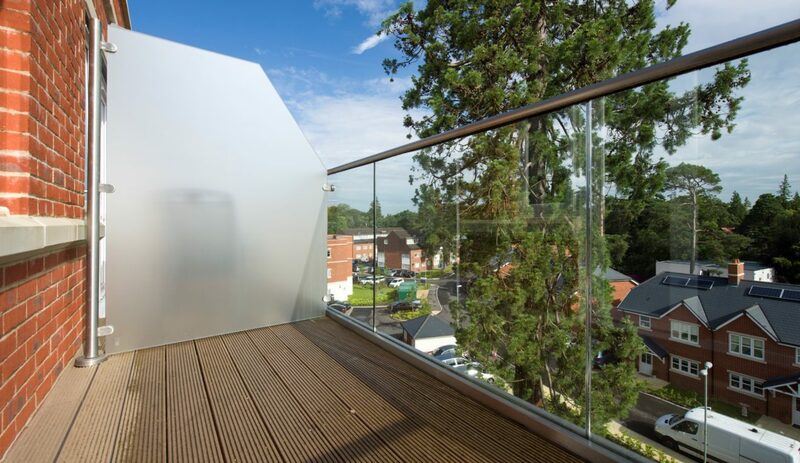 On the balconies, the B40 balustrade allowed for uninterrupted views of the woodland without compromising the personal space of the residents. Varying finished floor levels presented significant design challenges. 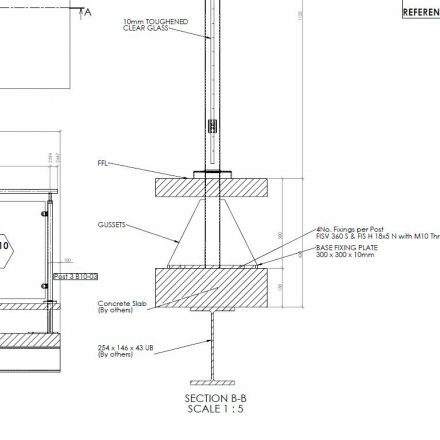 A specialist gusset fin had to be designed to ensure that the loadings on the balustrade post would not be compromised as the spigot had to be extended down to the concrete slab from the finished floor level. 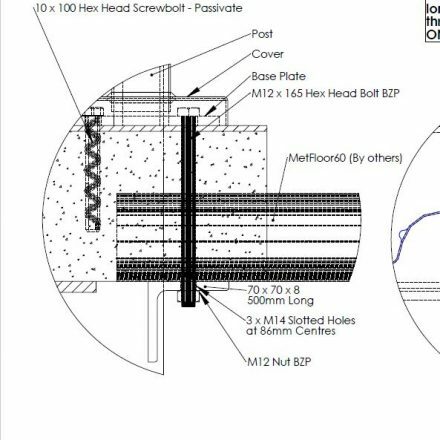 We overcame a design and installation challenge on some areas by using longer bolts through the MetFloor60 and into a custom fabricated bracket below the concrete slab. 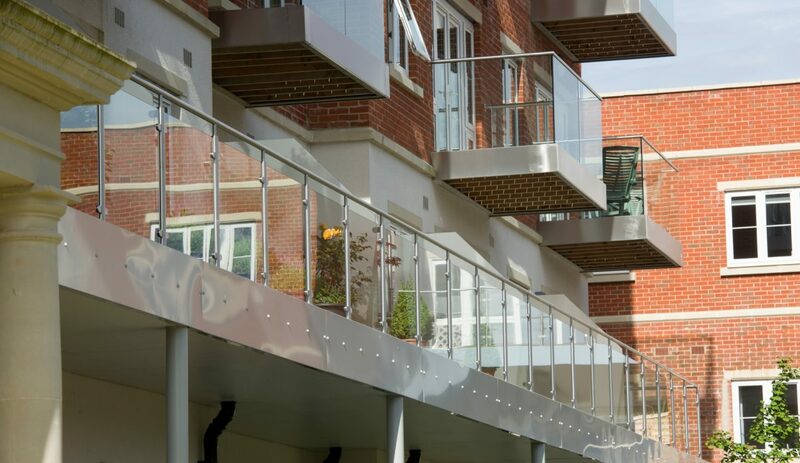 The balustrade and handrails from BA Systems have completely fulfilled our requirements for a durable, quality and consistent finish to the central voids, balconies and stair cores.